On my way to the Venice Tribunal, which is located near the Rialto Brige, I always pass by the Rialto fishing market. Honestly, I love to cross this place for its traditional atmosphere. Sellers shouts, buyers and tourists are everywhere around the banquets while birds try to catch fishes from the stalls. It is a very colorful picture of Venice, that reminds me of the past, when Venice was a trading power, the Queen of the seas. Rialto Market is made of two main buildings: Pescaria and Campo de l’Erbaria. Pescaria, located under the lodges, is the fishing-market. 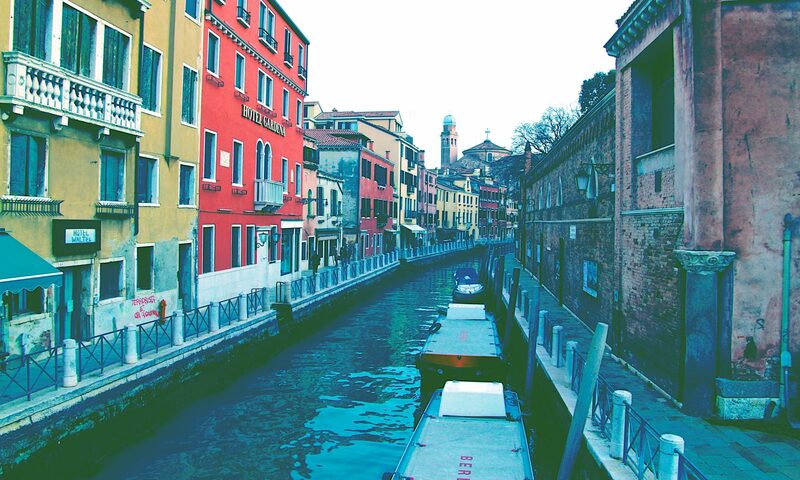 The ancient building is located on canals, so that boats can reach it directly. On the walls, many signs of the past, such as the minimum length of the fishes provided by the law of the ancient Republic of Venice. Here, fishermen used to sell lagoon and sea fish, while today it is possible to buy every kind of fish. Campo de l’Erbaria is the open-air market nearby where herbs and spices are sold. Much of vegetables sold in Campo de l’Erbaria were/are cultivated in the Island of Sant’Erasmo, which is the main garden of Venice. Rialto is the oldest part of Venice and it is very famous for the wonderful bridge crossing Grand Canal. Notwithstanding, the area nearby also deserves a visit. I strongly suggest to visit the Market in the morning, when venetians are out for shopping. This is a very old-style area of Venice and it is still used by venetians, who are very fond of it. It is a must if you want to enjoy its traditional atmosphere. Don’t forget to buy something!